Last day of June calls for a new session on crazy on line shopping… since this month I have been more on a beauty side of my shipping list instead of a clothing one, it was only fair to talk to you about my latest purchase. Which by the way as me so much exited that for the first time I am writing about it before even having it on my hands! 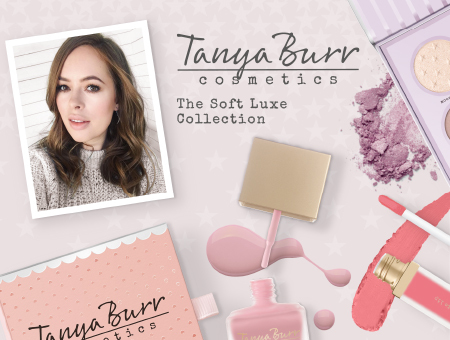 Anyway until feelunique.com delivers my exitement at my door step next wednesday, it was only fair to investigate also among you if you tried the new fabulous looking product by Tanya Burr. Especially since I usually here on the blog suggestion and impression from you all, especially those of you from the UK. Anyone already tried something from this new line ? Here is what I got… oh well… what’s on its way to be precise! Well I wanted to get also the puppy paws lip color, but there is no way that the color is gonna suit me unfortunately… ;( but anyway I hope all of the products arrive soon!! Anyone of you have some suggestion or even reviews on this collection? let me know!